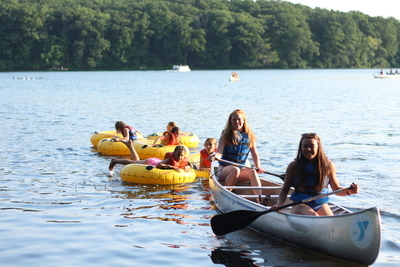 Safe, tradition filled with everyday adventures, new campers easily join in with returnees. A wide variety of activities are offered on a daily basis including: archery, crafts and water sports. Ask us about our "New Camper" coupon! Available for all sessions, for campers who love horses or are maybe just curious to learn more about them. Join a beginning to mid level riding program where half of each day is spent on or around the horses. Plus, experience exclusive trail rides. Enjoy time in the saddle, learn proper care of tack, shovel horse poop! What could be better? Available in sessions 4 & 5. Each morning or afternoon brings a different aquatic focus such as stand up paddle boarding, kayaking, snorkeling in Turtle Bay and river canoeing. Enrollment is limited to ensure great instruction and maximum fun. Available in session 1. 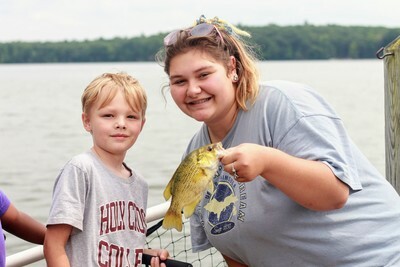 Campers eager to reel in a prize trout will spend their morning with staff on Big Blue Lake. From Turtle Bay to the secret spots, counselors will travel with campers to find the big catch. Bring a rod (or use one of Pendy's) and cast away. Bait provided. Available in sessions 5 and 6. 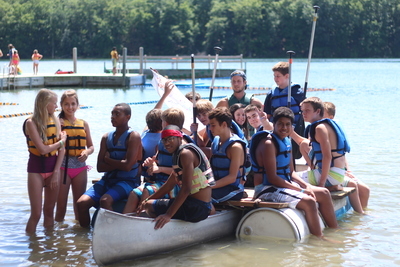 Travel to tent village for a week with your fellow teen campers. Adventures happen each morning, and some afternoons, including extended river trips, survival activities, and high ropes opportunities. Spend evenings with the rest of Pendalouan playing capture the flag and singing songs! Fun for the Whole Family - Join us for one of our Summer Camp Preview Days!